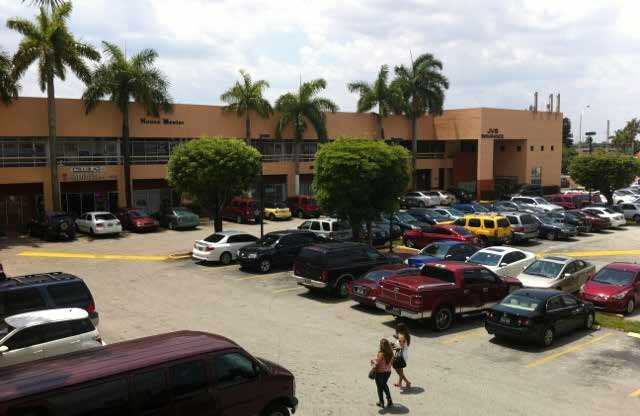 MIAMI - April 7, 2014 - PRLog -- FA Commercial is proud to announce the recent sale of the Plaza 8 St. Neighborhood Shopping Center located at 9600 SW 8th St. in Miami. The property was sold for $8,450,000. Fabio Faerman of FA Commercial brokered the deal as a representative of the seller. In the midst of the process, the side lot had to be appraised in order to be part of the deal. The result of the appraisal brought the property value to the price proposed by FA Commercial. The 55,814-square-foot plaza, built in 1988, is currently 96 percent leased to tenants including New Era Health Center and Pizza Hut. New Era Health Center is a provider of mental health services and Pizza Hut is a national tenant with over 6,000 restaurants in the United States. The location of the plaza provides the buyer with a unique opportunity for future growth, given the condensed population within the area. Sitting between the Florida Turnpike, Palmetto and Dolphin Expressway, the area attracts a strong amount of traffic with around 54,500 vehicles passing by per day. The plaza itself has direct access to two streets. The plaza provides those in the area with a destination to seek services or simply go shopping. The land also has the potential to add a freestanding building and bring another national tenant into the community. Fabio Faerman and his team at FA Commercial are pleased to contribute to the progress of Miami’s commercial real estate market with deals like these. Faerman also recently assisted in the sale of the land used to develop ECHO Brickell. The residential high rise on the east side of Brickell Avenue features 180 state-of-the-art residences. Designed by renowned architect Carlos Ott, the building has added to Brickell’s status as an international destination.